Life happens, and that’s why you shouldn’t sweat over stains; however, you shouldn’t ignore them either. A little spot may be shrugged off initially, but sooner or later that spot will be a bold imperfection, potentially creating a permanent eye-sore on your carpet. No matter how small the spot or stain, the longer it sits, the deeper it grips into your carpet until sooner than later it may be impossible to get rid of completely. Our team at SoCal Steam Clean is IICRC certified and is experienced in handling a variety of stains that have set in a many different places around the house or office setting. There is no stain or spot that can rattle us because we’ve seen it all before, and we know how to handle the different scenarios. Using our efficient cleaning methods and high-tech equipment, we’ll get rid of the stain or spot, and if we’re unable to get rid of the stain completely, we’ll let you know. Honesty matters to us, and we’ll let you know the chances on whether or not a stain or spot can be removed completely. 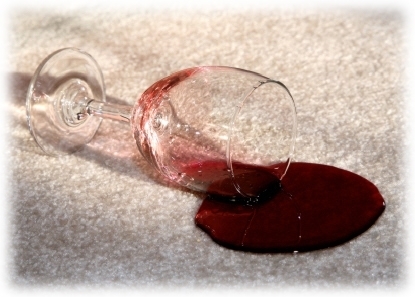 If we can’t remove the stain, no other carpet cleaning company can. Stains and spots ruin the look and feel of any type of home. No matter how long the stains and spots have been infesting your home, our certified methods of hot water extraction and use of shampoo will attack those pesky spots, and lift them off as much as possible from whatever part of your home they have stained. Every blemish that ruins the look of your home can be diluted, and possibly wiped out, with our powerful, but safe, cleaning methods. For the unfortunate that have experienced the chaos of fires, and have been inconvenienced by their damage, we can also do as much as humanely possible to restore what we can in those situations. We promise to do all that we possibly can to restore the fire damage as best as we can, and soften the blow of the damage that has been done. Fire damage varies, but we’re more than determined enough to welcome any challenges put before us, so don’t hesitate to call, even if you think your problem is too big. What can you do once you encounter a spot or stain? Act quickly! Do not ignore the stain; take action in cleaning it up as soon as you see it. Find two clean rags, wet one, and blot at the stain. Do not rub the stain because rubbing at the stain will just make it worse. Find a spot remover or cleaner that you have in your home and apply it to the stain. Remember to blot, and not rub, at the stain or you may spread it. When you’re cleaning a spot or stain, be sure to start from the outside and work your way to the center of the stain. In between these steps, always blot at the stain with a clean, wet rag.